Not normally three words you think of together. However, a Netflix documentary, filmed years earlier, has had an unintended effect on the Central Florida Throwdown, Lakeland’s signature crossfit competition – more competitors. 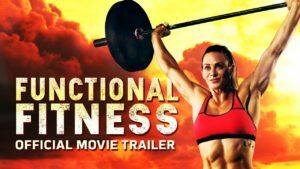 The documentary “Functional Fitness” was released in 2016 but filmed in 2012. In the movie the competition, still in its infancy, was held in downtown Lakeland outside Munn Park. Today, with nearly 600 competitors and an expected crowd of 4,000, the event has moved to a hanger in the SUN ‘n FUN complex. This year’s competition will be held Friday and Saturday, Oct. 13-14, at SUN ‘n FUN, 4175 Medulla Road in Lakeland. Admission is $5. For more information, visit cfthrowdown.com.